Ever wonder why lying out in the sun feels so good and makes aches and pains seem to melt away like magic? It’s because those wonderful rays of sunshine are warming you from the inside out. You feel energized yet relaxed as you absorb the soothing heat. Now, the sun emits many different types of rays — but the ones that provide deep pain relief are called far infrared waves. They are completely safe, unlike the UVA, UVB, and UVC waves that can cause nasty sunburns and which have been linked to skin cancer. Far infrared (FIR) waves actually penetrate deeper into your body than those other waves, soothing troublesome aches and pains. I want to tell you how you about the health benefits of far infrared heat therapy, and how you can harness FIR right in the comfort of your own home… 24 hours a day… rain or shine … and anytime you need deep, soothing pain relief. What makes far infrared rays so special? How does far infrared heat relieve pain? How are far infrared waves different from other waves? Sunlight travels 93 million miles through cold outer space to reach our planet. Whether the sun appears bright in the sky or is shadowed by clouds, visible rays light up your side of the planet during the day. Other rays, unseen by the naked eye, accompany this visible sunlight. 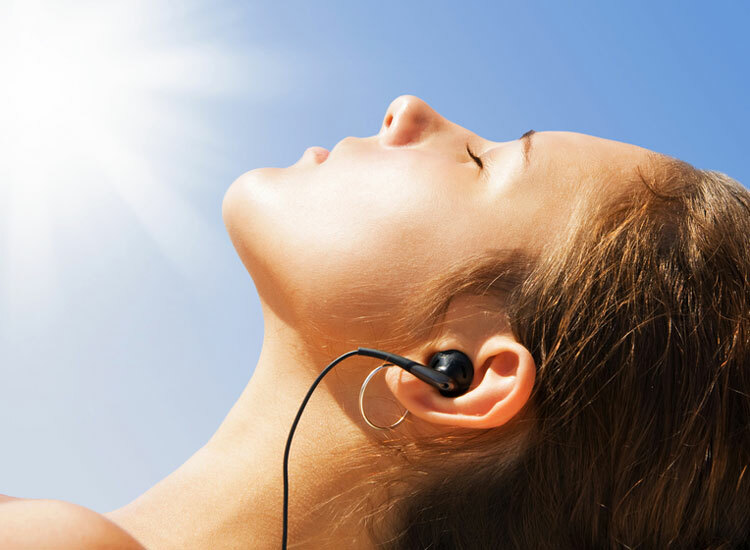 You’ve probably heard of the very low wavelength ultraviolet rays like UVA, UVB, and UVC. Unlike those damaging rays, far infrared rays are completely safe invisible rays of high wavelength energy on the opposite side of the visible spectrum of sunlight. These are the rays that provide the deep healing heat you feel right down to your bones on a bright sunny day. Most sources of heat are ambient. That means they warm the air around you with heat that barely penetrates your skin. Or they burn your skin as you try to get warm by direct contact. Far infrared is very different. The long wavelength of far infrared allows the energy to pass right through your skin -– as much as 1.5 inches deep -– and gently warms you from the inside out. The full soothing effect of the heat relieves aching muscles, joint pain and other hard-to-reach painful spots throughout your body. Pain that ordinary heat sources can’t touch is wiped away within mere minutes of exposure to far infrared. Key takeaway: Unlike other rays emitted from the sun, far infrared rays are completely safe and warm the body from the inside out. Far infrared heat waves fall on the electromagnetic spectrum as “ionizing.” That means these waves convert molecules or atoms into ions. Particles are ionized by removing one or more of their electrons. That means far infrared heat can convert positively charged particles, like the ones that communicate pain, neutralizing or making them into negative ions. Far infrared heat can transform the pain in your back so that your body won’t even feel it. When you warm yourself with deep penetrating far infrared rays, it’s like “switching on” several major healing functions that may have been lying dormant inside of you. First of all, far infrared expands your capillaries. Stagnant blood starts moving again. Crucial oxygen and nutrients are delivered throughout your body. And built-up waste and toxins are carried away for removal. Soon your muscles and joints start to relax. Muscle tension, joint pain and stiffness fade away. Gentle stretching after exposure to far infrared begins to enable greater flexibility and range of motion of the human body. Key takeaway: Infrared heat converts positively charged particles that cause pain into negative ions so you don’t feel pain. That’s right, as your core body temperature is raised by far infrared heat, your body burns off more calories as it works to keep your temperature equilibrium. [iv] It’s kind of like exercising… without the exercise! Key takeaway: While far infrared therapy is excellent for pain relief, it can also help energize you, promote wound healing, reduce inflammation and help you lose weight. If you’ve been to the doctor for chronic lower back pain, you’ve probably been given a prescription for pain pills and sent on your way. Or sent to physical therapy. Or told to take over-the-counter NSAIDs. But if you’ve ever experienced this kind of deep, radiating pain, you know that real pain relief is hard to come by. Most of the remedies don’t work. And the strong pain pills that sometimes DO work aren’t a long-term solution. We’re led to believe that chronic back pain that’s connected with arthritis and aging is impossible to cure. Instead, doctors tend to focus on managing your pain. The problem with this approach is that masking pain doesn’t restore strength and range of motion to the human body. Things like neck pain, joint pain, and problems in other body parts can stem from back pain that’s left unaddressed. Another issue is that strong anti-pain medications come with dangerous — and potentially deadly — side effects. Increased inflammation in your body, increased risk of heart attack and stroke, liver damage, stomach ulcers are just a few of these side effects. And when you stop taking pain medications, you still have pain. People have been turning to the sun for thousands of years to help with pain relief. We’ve abandoned this practice in favor of Big Pharma and their pain pills — and not to our benefit. Key takeaway: Mainstream doctors offer short-term pain solutions that only mask the pain while abandoning time-tested natural solutions. As much as we’d love to hang out on the beach soaking up the sun all year long, that’s not always practical. Unless you live in a southern state like California, Texas or Florida… or a country near the equator like Indonesia, Ecuador or Costa Rica… the sun’s rays simply aren’t powerful enough most of the year. And even if you live in a warm climate, your pain won’t wait for the occasional storm clouds to roll away. So what can regular people like you and me get the healing benefits of far infrared therapy? In the past, the most popular way to deliver far-infrared heat safely to adults struggling with pain was through expensive hospital-grade light therapy equipment. Think heat lamps that cost $5,000 or more! Nowadays, you can actually have far infrared saunas installed in your home. That’s pretty cool, but out of reach for most people. 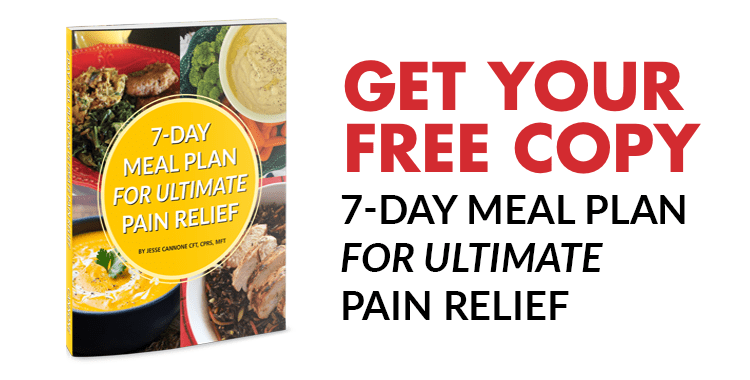 Thankfully, there’s finally another solution… one that won’t break the bank and STILL delivers the same healing therapy and pain relief. A far infrared heating pad. Although far infrared therapy has been around since the beginning of time (it’s a cure as old as the sun! ), only recently has science taken notice. In 2015, another study looked at employees in a Florida office who were experiencing lower back pain. Key takeaway: A far infrared heating pad is a safe, convenient and affordable way to get the healing benefits of infrared therapy. You can harness the healing power of the sun – even if you’re stuck indoors in the middle of a blizzard – with your personal far infrared heating pad. When you have your own far infrared heating pad, you’re only moments away from deep, soothing healing heat. Above, I mentioned that far infrared heat can convert positively charged particles into negative ions so you don’t feel pain. The best infrared heating pads use materials that naturally produce negative ions when heated. And one of the best materials for producing negative ions — and conducting far infrared heat — is natural jade stones. 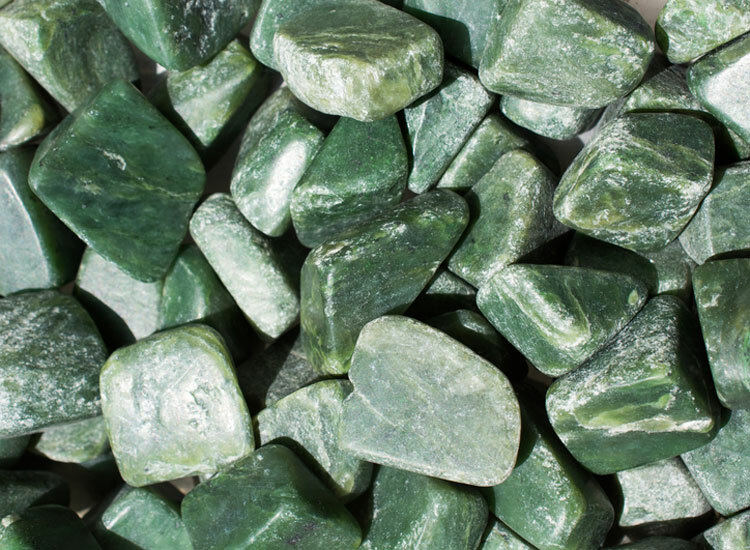 Jade stones absorb the FIR waves and distribute them evenly and continuously better than almost any other material in the world. Using infrared heating pads, especially a heating pad that uses natural jade stones to transfer thermal energy, doesn’t just address the problem of lower back pain. It also addresses many of the underlying causes of pain. If you choose a heating pad that harnesses the natural properties of jade stones, you get the added benefit of neutralizing your pain without releasing any toxins or synthetic material close to your skin’s surface. Key takeaway: Natural jade stones conduct infrared heat better than just about any other material in the world. Not all heating pads are created equally — and the same is true for far infrared heating pads. Key takeaway: We’ve looked at every option on the market, but only one far infrared heating pad gets HBI’s Seal of Approval. If you’re tired of mainstream medicine’s ineffective solutions for back pain relief, you owe it to yourself to far try infrared heat therapy. Key takeaway #1: Far infrared waves are the same warming rays that come from the sun, but unlike harmful UV rays, they are completely safe. Key takeaway #2: The long wavelength of far infrared allows the energy to pass right through your skin -– as much as 1.5 inches deep -– and gently warms you from the inside out. Key takeaway #3: Far infrared has unmatched pain-fighting properties, but it can also help improve your sleep, promote faster wound healing, keep your cells healthy and may even help you lose weight. Key takeaway #4: The best, most affordable and most convenient way to benefit from far infrared therapy is by using a far infrared heating pad, preferably one that uses jade stones to distribute the heat. Key takeaway #5: The Healthy Back Institute recommends just one far infrared heating pad. You can find out more about it right here. i Masuda, A. et al. “A new treatment: thermal therapy for chronic fatigue syndrome”; Nihon Rinsho. 2007 Jun;65(6):1093-8.
ii Toyokawa, H. et al. “Promotive effects of far-infrared ray on full-thickness skin wound healing in rats”; Exp Biol Med (Maywood). 2003 Jun;228(6):724-9.
iv Imamura, Masakazu et al. “Repeated Thermal Therapy Improves Impaired Vascular Endothelial Function in Patients With Coronary Risk Factors.” Vol. 38, No. 4, 2001. Journal of American College of Cardiology: pp 1083-1088.
v Gale, G. D., Rothbart, P. J., & Li, Y. (2006). “Infrared therapy for chronic low back pain: A randomized, controlled trial.” Pain Research & Management : The Journal of the Canadian Pain Society, 11(3), 193–196. Web. vi Ervolino, F., Gazze, R. (2015). “Far infrared wavelength treatment for low back pain: Evaluation of a non-invasive device.” Work, 53(1), 157-162. Web.